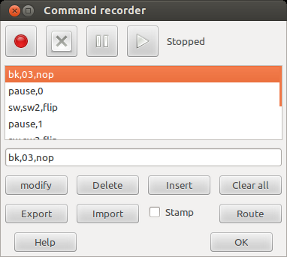 The command recorder can be used to record basic commands send from Rocview to the server. Time stamp option; Must be activated before recording is started. Not all commands are supported. "Pause" is not a command but is used to wait for the number of seconds between the playback steps.